Although not fully enabling, civic space in Panama has long been hospitable enough for civil society to prosper. Clashes between the police and a group of farmers were reported on 18th December 2018 in the town of Divisa after a failed negotiation meeting between the farmers and the Ministers of Industry, Security and Agriculture. Although the freedom of association is constitutionally and legally recognised, CSOs often face difficulties in obtaining legal recognition, including complex and lengthy procedures, the need for an attorney, burdensome paperwork, high costs, and discretionary processing of applications. Although the freedom of association is constitutionally and legally recognised, CSOs often face difficulties in obtaining legal recognition, including complex and lengthy procedures, the need for an attorney, burdensome paperwork, high costs, and discretionary processing of applications. Those organisations which are already registered must comply with burdensome reporting requirements and they lack safeguards against the possibility of an arbitrary revocation of their legal status. Although no legal barriers to advocacy exist, it is not uncommon for advocacy CSOs to face hostile government rhetoric as well as competition from government-organised NGOs, established by or affiliated with politicians and political parties. There are no legal bans on foreign funding, but CSOs have to comply with various regulations against money laundering, drug trafficking and terrorism. Workers are allowed to unionise but, according to the International Trade Union Confederation, there are systematic violations of trade union rights in Panama. The freedom of peaceful assembly is recognised in the Panamanian Constitution. The freedom of peaceful assembly is recognised in the Panamanian Constitution. Organisers must give 24 hours prior notice before a public gathering, demonstrations blocking public transit require authorisation, spontaneous assemblies are not permitted, and violent protests are punishable with imprisonment. In practice, road blockades, with and without prior notice, are widespread. Authorities often fail to protect demonstrators and sometimes use excessive force to suppress protests, even peaceful ones, when circulation is disturbed. The increasing militarisation of the security forces is a cause for concern within civil society. A conflict around the construction of two hydroelectric dams that is expected to cause massive flooding and displace dozens of indigenous and peasant communities has been ongoing for years, with several protests repressed by police, especially in early 2013. The constitutionally-protected freedoms of expression and of the press are not consistently respected in Panama. The constitutionally-protected freedoms of expression and of the press are not consistently respected in Panama. Although journalism is not a high-risk occupation in Panama, journalists are subject to occasional threats and attacks. Defamation, libel and slander are still criminal offences and cases are filed regularly, although prison sentences have been eliminated. With the exception of one state-owned television network and one radio station, all media outlets are in private hands. Cross-ownership of print and broadcast media is prohibited; nevertheless, former president Martinelli – who is being prosecuted for corruption – accumulated several newspapers and radio stations, and at least one television outlet. In 2014 the distribution of government advertising got more biased as the elections approached, and cases of surveillance, judicial and fiscal harassment, censorship, and self-censorship multiplied as tension increased. 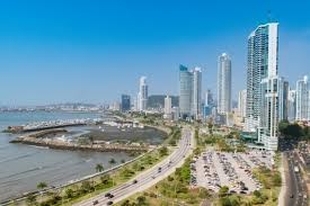 Panama participates in the Open Government Partnership and passed an Access to Information Law in 2002; however, actual access to public information remained limited due to frequent official denials of requests and a lack of proactive transparency. An autonomous National Authority of Transparency and Access to Information was created in 2013 following recommendations to comply with best practice standards. No restrictions exist on Internet access or content.